I live in North Eastern California where the temps don't get very high in the summer and our growing season is very short. My lawn is Kentucky Blue grass sod that over the years has thinned out to the point i now have large bare spots and weeds. I have tried weed and feeding, thatching and aerating on a yearly basis but the lawn has not improved but continued to thin out. Having a dog didn't help the matter, however I don't believe that it really matters since the lawn was pretty much done before we had the dog. I am planning on reseeding my lawn once the snow is gone and the rains come in April and May. My question is: What brand/type of seed do you recommend? I see some products that are just seeds and others that are for bare spots. Is one brand better or offer better results for my situation? Should I over seed the thinning areas and just till and seed the bare areas? My lawn is about 5,000 sq feet with about 1/3 of it being bare. Welcome to the Home Depot Community! Aerating and dethatching are steps that will help the compaction conditions of the soil and will also allow nutrients to be taken up by the turf roots, so great job there! After the snow has melted and the soil is firm, and the ground can be walked upon without any squishy, soggy conditions, give your lawn a good raking. 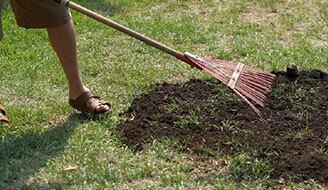 Remove any debris, rocks and twigs and really roughen up the bare spots. I believe that over-seeding will bring great results. Do you have many trees in your yard? Do roots run beneath the turf? When was the last time you applied lime to the area? You may consider doing an application of lime at this point, lime will also aid in neutralizing the acidity of dog urine if any should be present. Once the lawn soil and lime is applied, and the large areas have been tamped down, spread the seed. I recommend a regional seed mix like: Scotts Northwest Blend. You wrote that the lawn is primarily Blue Grass, which has a distinct color and texture; that is why I recommend spreading the soil across the entire area so that when you apply the Northwest Blend it will fill in throughout the entire lawn allowing the new seed to take hold all over, blending the new seed with the old. I know your season is short; applying a good seed with fresh soil, providing the best conditions will enable the seed to germinate quickly. The seed will take hold and promote a good strong root system. A thick turf is the best way to discourage weeds, not allowing an inch of space for weed seeds to wake up and take hold is crucial for natural weed control. To help nature out a bit apply a safe fertilizer: Scotts Natural Lawn fertilizer will thicken and green your lawn, this product is safe for pets and children! Let us know if you have any other question, just get growing! Maureen has some great information for you. After you spread your seed, it is a good idea to cover the seed with 1/8 in. to NO MORE than 1/4 in. of topper. This light dressing of topper will help to keep the seed damp and prevent your local hungry sparrows and other birds from devouring your seed. I like to use the Kellogg Topper to cover my lawn seed. Since the Scotts Natural 29.5lb, 4M. 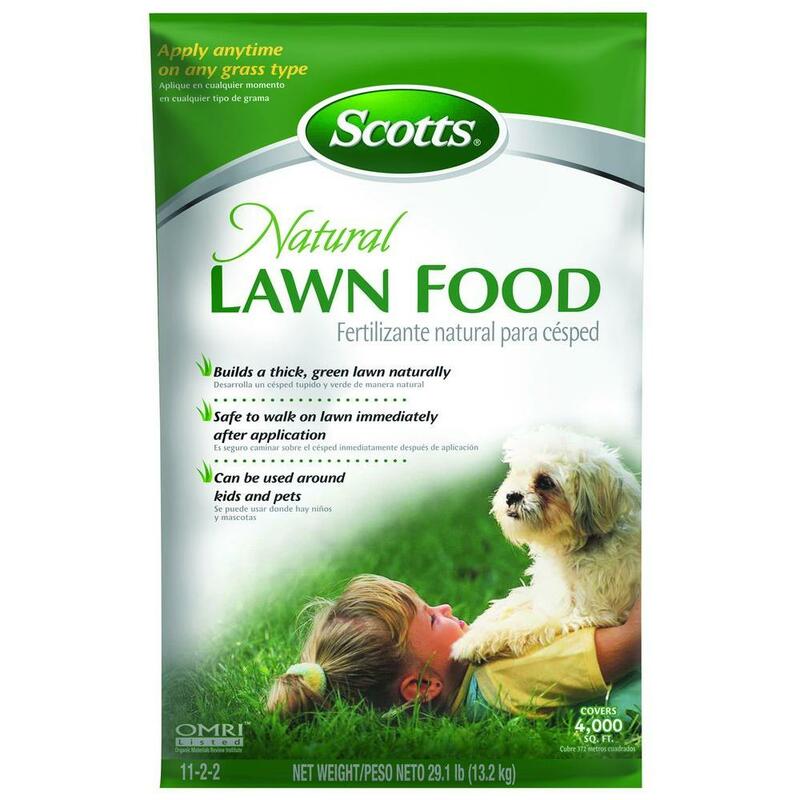 Natural Lawn Food may not be available in your area; you can use the Scotts Starter Fertilizer. Apply this starter fertilizer after you cover your seed with a good topper. The Scotts Starter Fertilizer is high in phosphate, which will help in stimulating the germination of your grass seed. Be sure to keep the soil damp for the next 10-14 days. You may have to water multiple times a day to accomplish this, depending on the weather. 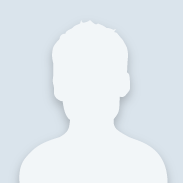 Thank you for visiting our community web site. Please let us know if we can be of further assistance. I have several fruit trees in my yard as well as a vegetable garden and several flower beds. I did a search for the Scotts Northwest blend seed. However, it appears not to be sold anywhere in my area or region. Can you offer an alternative seed or mix for my area? thanks.